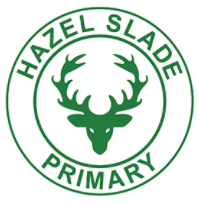 At Hazel Slade Primary Academy we are fully compliant with Section 69 (2) of the Children and Families Act 2014, the SEN and Disability Code of Practice 0-25 years Section 6 and Regulation 51 and Schedule 1 of the Special Educational Needs and Disability Regulations 2014. Please click the above links for further information. Before entering our school, all pupils with Special Educational Needs and/or disabilities are invited to a transition meeting within the school involving all relevant staff, professionals and outside agencies. This will determine all support and arrangements needed to meet the child’s needs effectively ensuring that they are able to fully access the school’s curriculum and are not treated less favourable than other pupils. Hazel Slade Primary Academy recognises that every child is different; we have an inclusive ethos which reflects our commitment to the inclusion, safety and well-being of all our pupils. Individual pupils’ needs are assessed and adjustments are made to the curriculum, as far as reasonably practical, the physical environment and pastoral requirements to ensure that all pupils are treated equally. There is wheel-chair access into the school and ramps that can be placed down in school for the steps and disabled toilet facilities. Further information can be found within our Accessibility Plan which is amended every three years to evaluate pupils’ needs. Advice and support is sought in regards to pupils with additional needs e.g. a visual or hearing impairment which enables them to readily access all information. Mrs Camacho is the school SENCO. Please contact the school office if you would like to speak to her.